Thank you to Lindsay Olives for sponsoring this post. All opinions are my own. Today I’m going to share a new recipe inspired by a new healthy dish I recently whipped up. 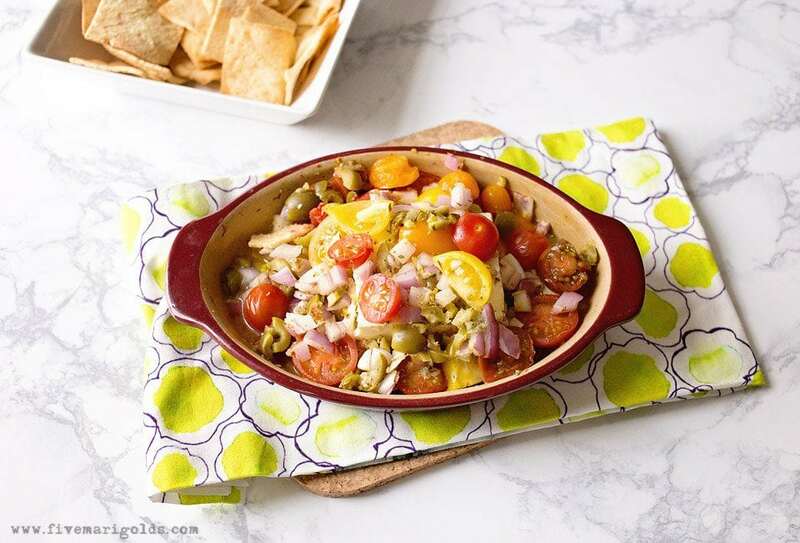 The chicken dish is baked with a Mediterranean salsa spooned over the top. This salsa is so good I find myself sneaking an extra spoonful or two with crackers or chips before I bake the rest. Then I got to thinking…with the football season really heating up, how could I turn this goodness into a shareable appetizer? I’ll tell you how: Baked Mediterranean Feta Dip. 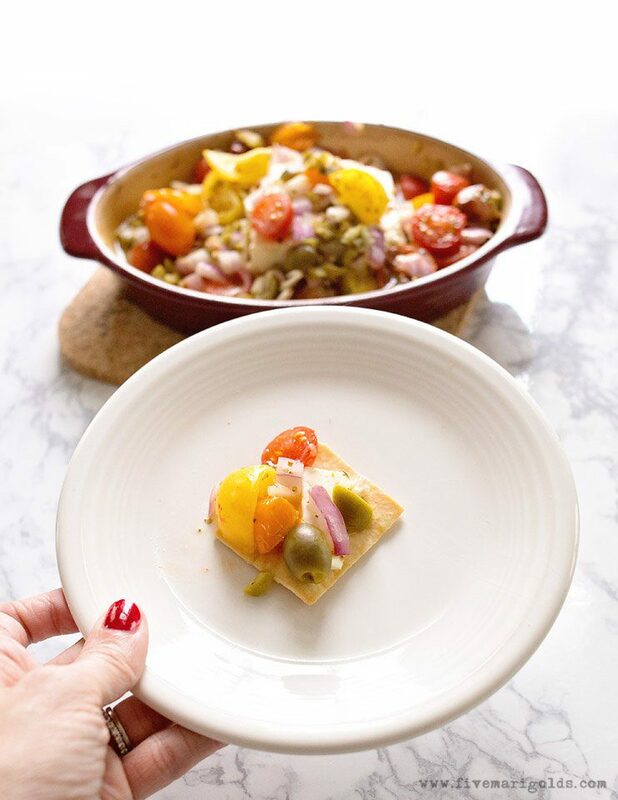 This appetizer has the flavors of fresh tomatoes, red onion, olives, garlic and oregano – and of course, Feta cheese. The result is a so fresh and flavorful. 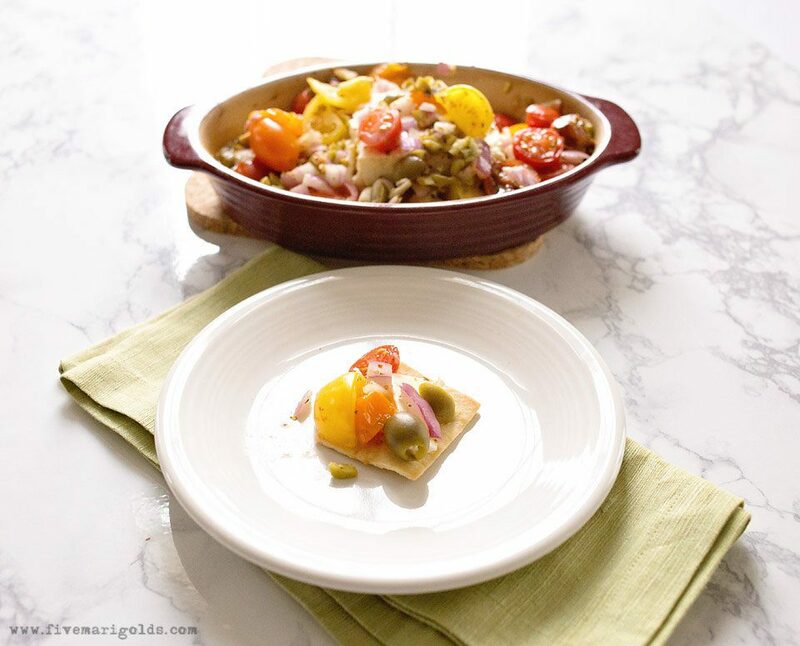 Serve with pita chips, toasted bread or crackers. 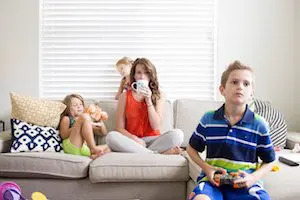 It’s sure to be a hit at the next game day watch party. In the unlikely scenario that there are leftovers, you can pop it back in the oven to soften the Feta back up. Or, spoon it over grilled chicken for a light and clean dinner. 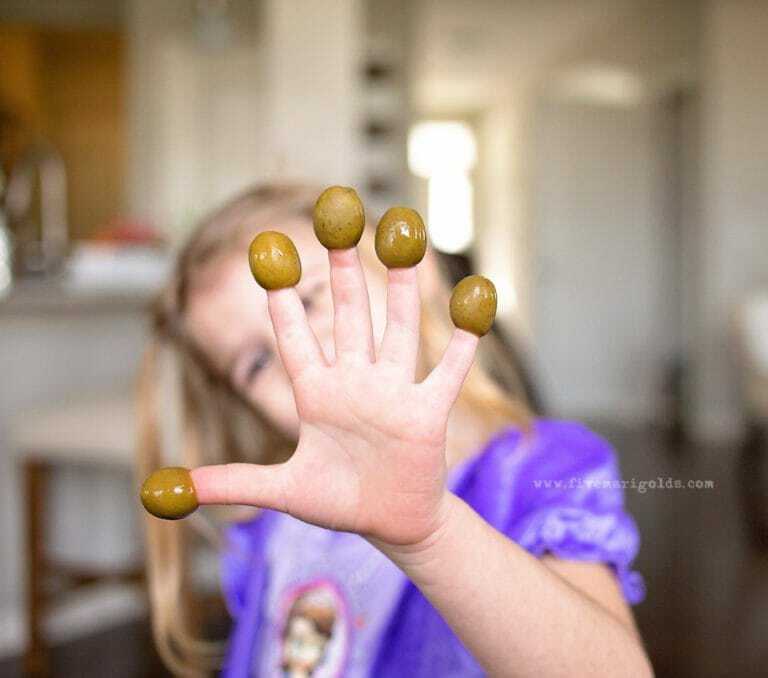 Everyone knows this is the best way to eat olives. Can I get an amen? 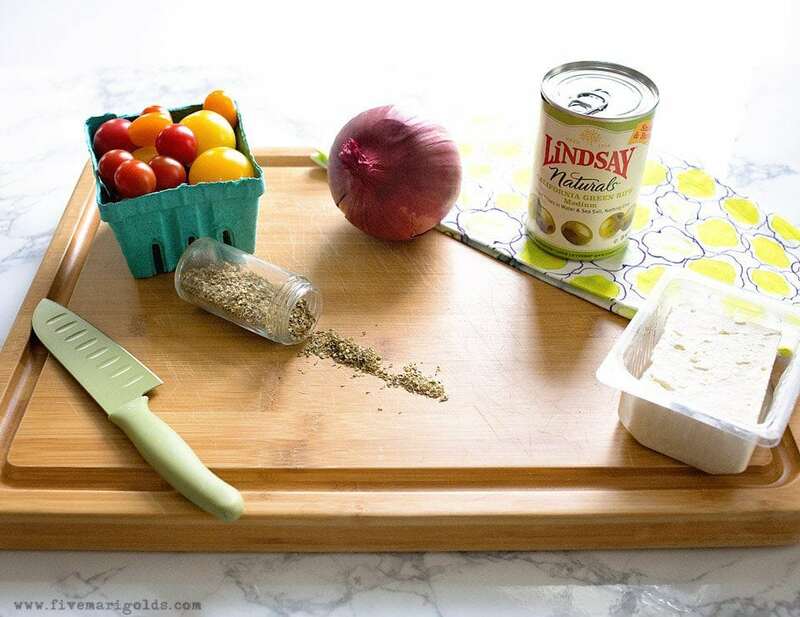 If you want to try Baked Feta with Mediterranean Salsa, or just give yourself an olive manicure, be sure to grab this $1 in-store coupon, or save 25% off any Lindsay Olives online purchase! In a medium bowl, mix tomatoes, olives, onion, garlic, oregano, olive oil and pepper. 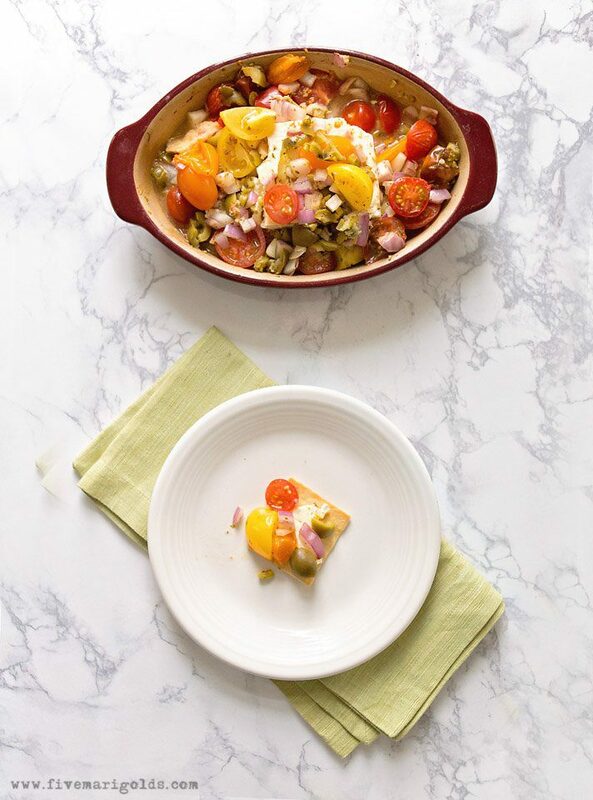 Place feta in a small baking dish. Spoon tomato mixture on top of the feta. Bake in oven at 400°F. for 15 minutes. Serve immediately. *If the feta cools and firms up, you can place it back in the oven to soften it again.